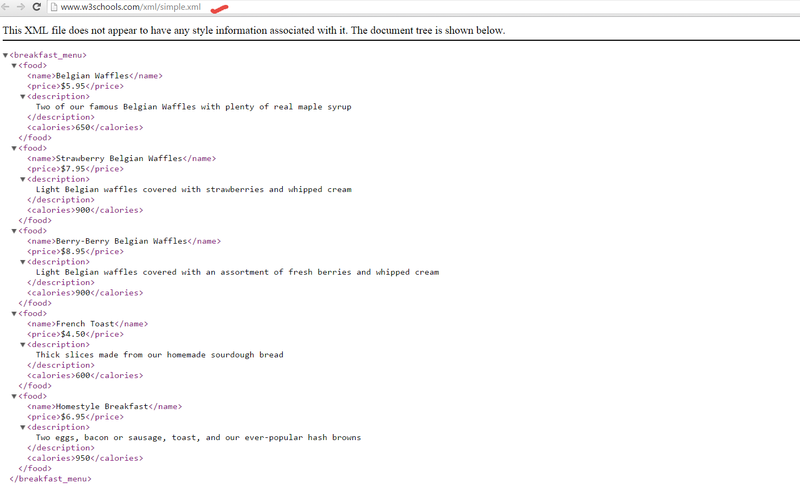 Go to W3schools and open any xml file. Note down the file path name. In Tx- SM59 create an rfc destination of type – G .
Provide the target host and the path of teh xml that we want to access. Do a connection test. HTTP status is 200. 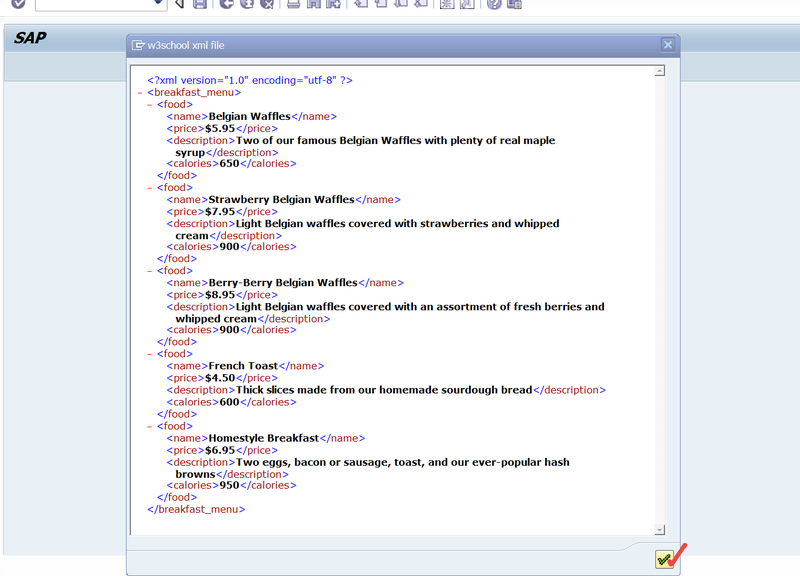 Means connection is successful form abap server to the w3school. Execute the above report which will read the xml file on the W3Schools and display it.